The highest intakes of red and processed meat are associated with an 18–51% higher risk of all-cause mortality compared to zero-intake according to a recently published paper in Nutrients. Over the last fifty years, global meat consumption has increased across the world. 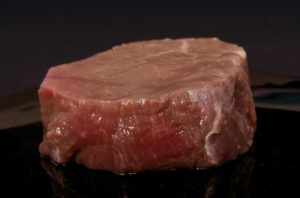 In the United States, for instance, red meat is the most commonly consumed meat, and approximately a quarter of the total meat consumed is processed meat. This presents a high risk in the opinion of researchers at the School of Public Health, Loma Linda University (California, United States). According to their findings, processed red meat is associated with a higher risk of coronary heart diseases, diabetes, and some forms of cancer. They observed this in Adventist communities where there is a large number of vegetarians and where nonvegetarians have low intakes of red and processed meat. “With respect to red and processed meat and long-term health risks, such as the risk of cardiovascular diseases, cancer, or premature mortality, there is a substantial body of evidence suggesting increased risk,” said Michael Orlich, one of the authors of the study. He pointed out that this type of evidence has led the International Agency for Cancer Research (IARC) to label red meat as a possible carcinogen and processed meat as a carcinogen. Approximately 96,000 people from Adventist communities in the United States and Canada were recruited to conduct the study, which evaluated the deaths of over 7,900 individuals. Around 90 percent of them only ate two ounces of red meat per day or less, but nearly 2,600 of the reported deaths were due to cardiovascular disease and over 1,800 were cancer deaths, which reveals the potential ill health effects of red and processed meats. “In our study, even relatively low levels of red and processed meat consumption were linked to higher risk of premature death, compared to no consumption at all,” outlined Orlich. The highest intakes of red and processed meat were associated with an 18–51% higher risk of all-cause mortality compared to zero-intake participants. The capacity of red and processed meet to endanger health, even if the intake is low, was unknown until now, since previous studies looked at relatively higher levels of red meat intake. Nevertheless, the authors hope this research encourage people to think twice before, particularly in places where the alternative foods are readily available. Posted in Nutrients and tagged coronary heart diseases, nutrients, processed meet.